Turning to another incident involving the media…We note that there has been no official statement from G.O.B. in respect of the assault by U.D.P. operatives on Marisol Amaya and other media colleagues. 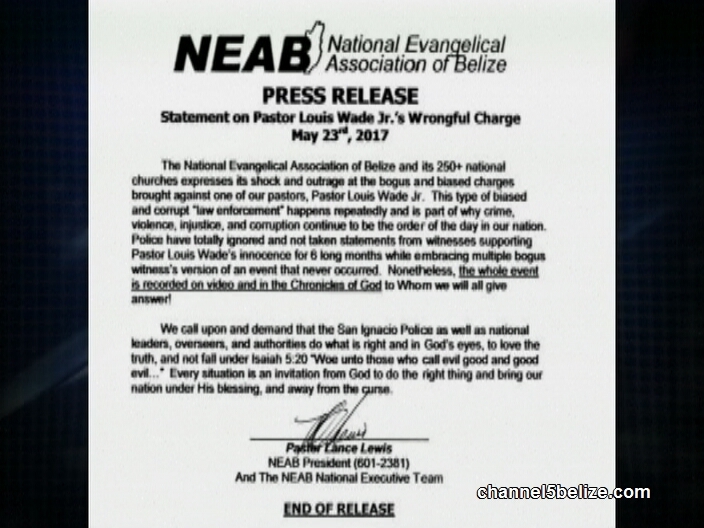 But late on Friday, a release was issued by the Ministry of Home Affairs as it relates to the charges being brought against Pastor Louis Wade from Plus TV. Earlier in the day, the journalist was charged in the San Ignacio Magistrate Court for Common Assault and Using Insulting Language. It goes back to an incident on November twenty-third 2016 when Wade was videoing at the Santa Elena Sports Complex. He was working on a story to show that the Ministry of Works equipment was being used for a private contract. Wade states that Montero’s son, Robert showed up, and attempted to ram his vehicle into Wade. But instead, the police charged Wade who further states that his witnesses were not interviewed. 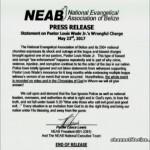 The release from the Ministry of Home Affairs states that the complaint filed against him was not initiated by the Belize Police Department nor the Government of Belize, but by a private citizen who claims to have been assaulted and insulted by Wade. That private citizen has reportedly provided the police with witnesses who corroborate his story, and confirms the accusations against Wade. The release adds that in order to allow “Mr. Wade to produce video evidence of the incident he claimed he had, which would allowed him to clear his name and avoid the charges, the Police Department delayed bringing charges against him. 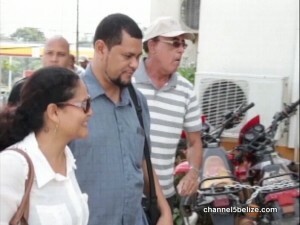 Due to the statute of limitation on filing charges for such misdemeanours, the Department moved to charge Wade just a few days before the expiration of six months.” Wade has not only denied the allegations made by Montero; in fact, he maintains he was aggressed by the Minister’s son.